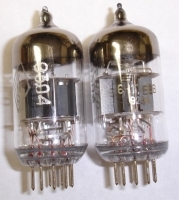 CRYOGENICALLY TREATED VACUUM TUBES for the audiophile. 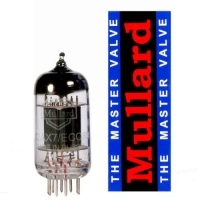 Cryogenic treatment is a process where a product (VACUUM TUBES)is tempered in a deep freeze process(-300F) for 48 hrs. This process produces a permanent change in the metals inside this product making it stronger and longer lasting. Tools, instruments, knives, razor blades, machinery parts have been Cryo Treated for many years.Why do this to tubes?Tubes are mostly metal inside so Cryo treating tubes has the following benefits: permanent change in the metals at the molecular level(more uniform grain structure of metals), longer lasting, tightens internal parts of the tube allowing for more efficient operation. and superior conductivity! 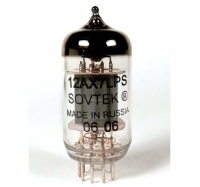 CONTAINS ALL THE ULTRA PREMIUM CRYO TREATED TUBES WE CURRENTLY HAVE, BOTH SMALL SIGNAL AND POWER.THIS IS THE MOST COST EFFECTIVE WAY TO TWEAK YOUR SYSTEM! !